I'm familiar with this one and it's good! Fans of classic progressive rock, take note! Looks like my cup of tea. Many thanks, Marios. Never heard about this and thanks for oppurtunity to access those rare stuff.Thanks again for all your work.. Here is a brief history of the next band, "one plate". It was created in the early 70's. Formed in 1971 This band started out as Atlantis. The founder and leader was Joe DiFazio, from Lakewood, with Royce Gibson. They became Atlantis Philharmonic (presumably because there was many bands named Atlantis) They released one LP from the Chicago-based Dharma label. and co-produced with label chief Perry Johnson. Shortly after the LP in 1974, was released,joined on guitar Roger Lewis (formerly of Freeport, RMA, and the Poppy) the band in late 1975, Myron Grombacher was listed as the drummer. JOE DIFAZIO, multi instrumentalist .organ, piano, electronic piano, harpsichord, Mellotron, Moog synthesizer, guitar, bass, foot bass pedals, lead and backing vocals and vocals is the backbone of the group. He is the major driving force composing and collaborating on several songs with lyricist, Jerry Willcox. With an extensive background in classical music, his experience ranges from baroque, classical, romantic, and modern styles of music. ROYCE GIBSON, drummer and percussion commands a variety of instruments including drums, tympani, gongs, cymbals, bass drum, gong,snare, backing vocals and adds a unique facet that provides a symphonic dimension to the group's sound. ROGER LEWIS, (newest member - 1974) former member of Freeport, was added to the group folllowing the production of the group's first album. His guitar playing is par-excellent bringing a new and unique style of playing to the group's original compositions. 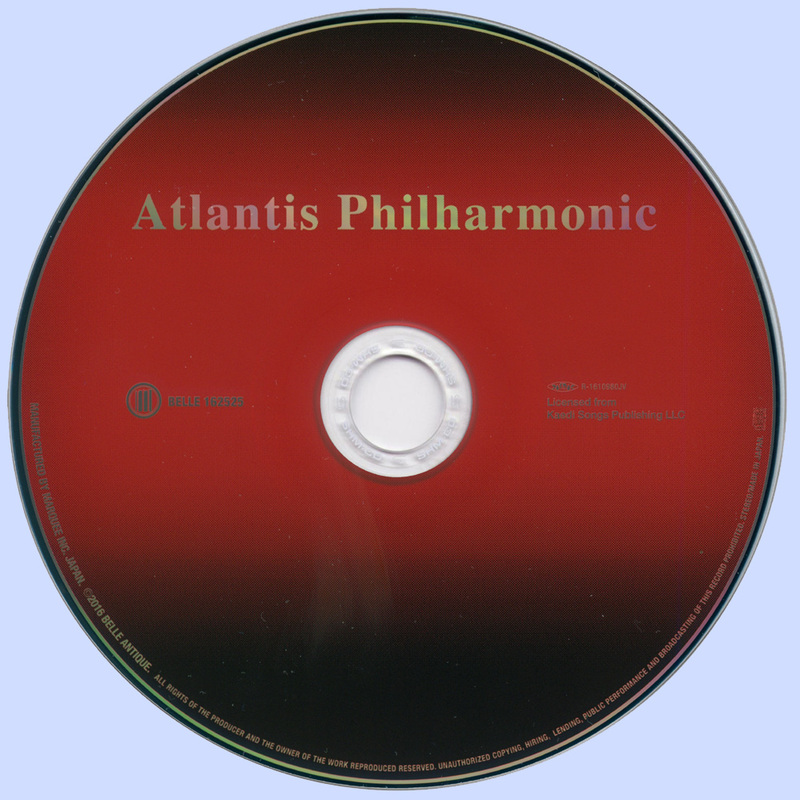 Since its conception in Cleveland, Ohio, in 1971, ATLANTIS PHILHARMONIC captivated audiences throughout the Midwest with its unique style of classical rock. They performed with such acts as King Crimson, Hello People, Wishbone Ash, Rasberries, Styx, and Tim Buckley. Their music has been called 'picturesque' and has earned them the respect of an ever growing audience. Atlantis Philharmonic despite the small lineup, it sounds like a much larger ensemble with a full array of keyboards (primarily organ), guitar, bass, drums, and quite a bit of percussion. Yeah! the noise produced by the duo indeed would be enough for the whole orchestra... "First violin" is play, of course, organ Hammond B3. The album contains a mix of instrumental and vocal work, and even veers towards the commercial in a couple of places. 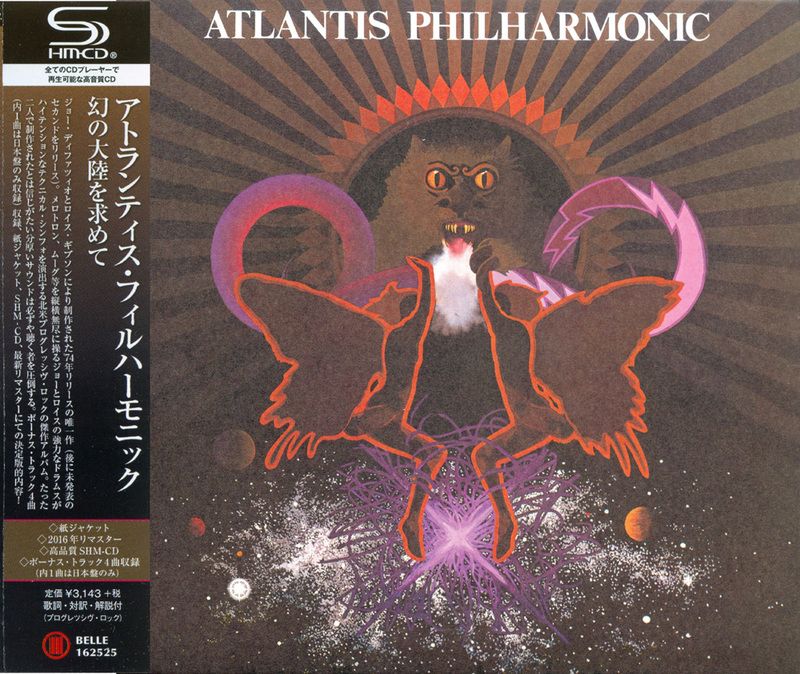 In this way, Atlantis Philharmonic is clearly a product of the Midwest progressive rock scene. It's heritage is obvious on repeated listening. The lush keyboard arrangements including piano, organ and mellotron and the varied mixture of sounds and styles are perfect for the taste of the most demanding Progressive Rock fans.....Some places consider them Symphonic, others Psyche or even Jazz oriented, but the important thing is that they recorded an excellent album that must be in every Prog Rock collection, an excellent addition for almost any sub-genre but much closer to Symphonic. DiFazio took his time to classical music lessons, also worked in the Canadian cover group, playing Beatles hits. Both men were fascinated by symphonic rock (with a bit of progressive inserts). The main patterns of the ELP, Moody Blues and Camel. In 1974, the band recorded at Castle Studios musical material, which was released on Dharma Records label. The eclectic sound of this album has very characteristic features like the excellent vocals close to a blend of Psyche and Pop plus a hard edged guitar that reminds of Early ELP or The Nice. In tracks like "Friends" we can hear some heavy rock influence similar to Uriah Heep or Deep Purple, and "Atlantis" sounding more like the stuff Atomic Rooster was putting out. You should listen, to flavor brutal riffs hard cute little things as "Death Man" (by the way, this interesting study in the vocal parts and some instrumental episodes like creative Exercise stunning British team Fantasy ). 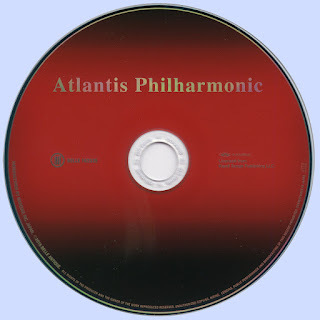 Highest manifestations of pretentious academic Atlantis Philharmonic reach a "Fly-The-Night", which have the properties of the texture of the rock opera and enchanting solemnity carnival submission. Along with the Moog synthesizer and "bombarding" chord "Hammond B3" maestro di Fazio enters the palette harpsichord interlude she gets light smack Baroque. Elegiac "My Friend" - a demonstration of the wealth of all shades of the spectrum keyboard: the melodic line, driven by pure piano and violin masquerading mellotron, and a customary harpsichord, organ alliance. Final epic "Atlas", in addition to excellent vocal harmonies, different decent tilt towards worsening sound. Joe and Royce did not miss the opportunity to get rid of academic gloss, drop coats, break the neck bow ties, in order to put on pants worn with leather jackets and vdarit by highbrow lovers symphony viscous "sabbath similar " electric guitar passages. Joe still found a couple of the moment to introduce there distorted shouts six metal strings...yeah! Sinister mysticism dormant clouds of mist English villages, haunted, legal competence and overseas, that should certainly please a certain category of music lovers. There is also some atmospheric touches like in the incredible "Woodsman" that also blends some Jazzy leanings. And because, due to the scarcity of the composition of the team just performed, it had no chance of his promotion, with the result that broke up in early 1975. DiFazio try again later, assuming a band playing melodic pop rock, but again, not a success. Discouraged, he devoted himself to music, science, and today is a professor of computer technologies at the University of Indiana. 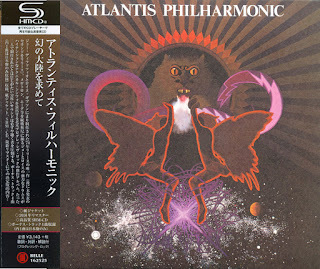 Bottom line: "Atlantis Philharmonic"(as their name clearly suggests) is considered one of the earliest examples of USA Progressive rock is a real pearl do not lose the charm of antiquity.